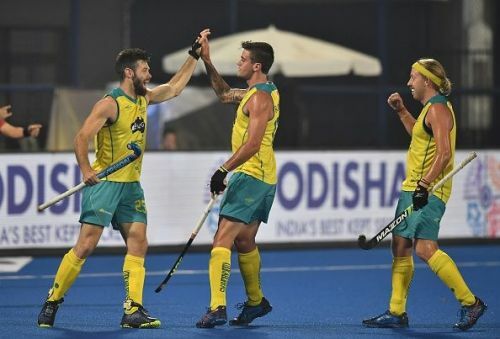 Jeremy Hayward, Blake Govers and Aran Zalewski scored from penalty corners to propel Australia to a 3-0 triumph against France at the Kalinga Stadium in Bhubaneswar. 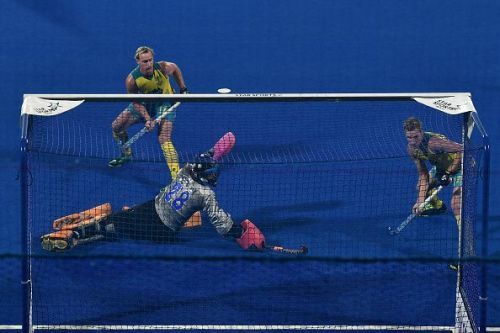 Consequently, the Kookaburras booked a place in the semifinals of the 2018 Hockey World Cup. On paper, there was fear of a mismatch between these two teams. France, ranked 20 in the world, were up against defending champions and top-ranked Australia. However, the Kookaburras were aware that victory would not come easy against a team that had qualified from a tough group. True to their reputation, Australia played an aggressive brand of hockey. But the unheralded French players valiantly kept pace with the front-runners. Although they denied any field goals to the odds-on favourites, the underdogs paid the price for conceding far too many penalty corners to the Kookaburras. Here are the three standout players from Australia's methodical victory over France in the second quarterfinal. Having played under Mark Knowles in the 2014 World Cup, Aran Zalewski followed in the footsteps of his erstwhile teammate by leading from the front in their knockout match against France at the 2018 edition. Zalewski controlled the pace of the match with his incisive runs from one end to the other. The Australian skipper averted possible French attacks by holding fort in the back-line. He marshalled his defenders adeptly and made life easier for goal-keeper Tyler Lovell. At the 37th minute, Zalewski's expertise turned a penalty corner into a stunning goal. The Kookaburras' captain orchestrated an astute variation and left the French defenders scratching their heads in utter disbelief. Zalewski found Blake Govers on the mark. The young striker deflected the ball to Matt Dawson who then passed the baton back to the skipper. By then, the 27-year old had gotten himself into a brilliant position. All he had to do was to place the ball into the back of the net. Zalewski's perseverance helped him earn a well-deserved Player of the Match award.